For businesses, this represents a major opportunity. Influencers survive by partnering with brands and promoting their products or services to their extensive and engaged audience, in exchange for payment. There are influencers in almost every category you can think of now, so if you find the right one, it could do wonders for your business. But as with everything in life, it’s also brought out some less savoury characters. These ‘fake’ influencers present themselves as having an extensive audience and might boast some impressive follower numbers, but do a little digging, and you’ll quickly find it’s all fake. Shadow and sock-puppet accounts designed to attract sponsors, nothing more. So, how do you navigate the world of influencer marketing and take advantage of the influencer marketing phenomenon, and make sure you don’t get burned by fakes at the same time? Today, we’ve got some tips to help you select the right influencer for you, and use them properly. Before you approach anyone, you need to have a plan in place. You need to understand what it is you want to achieve from this partnership, and the steps that need to be taken to get there. This means you should have a clear idea of what you want your influencer to achieve, with suggestions of how to achieve it, as well as what you need to do to support that. 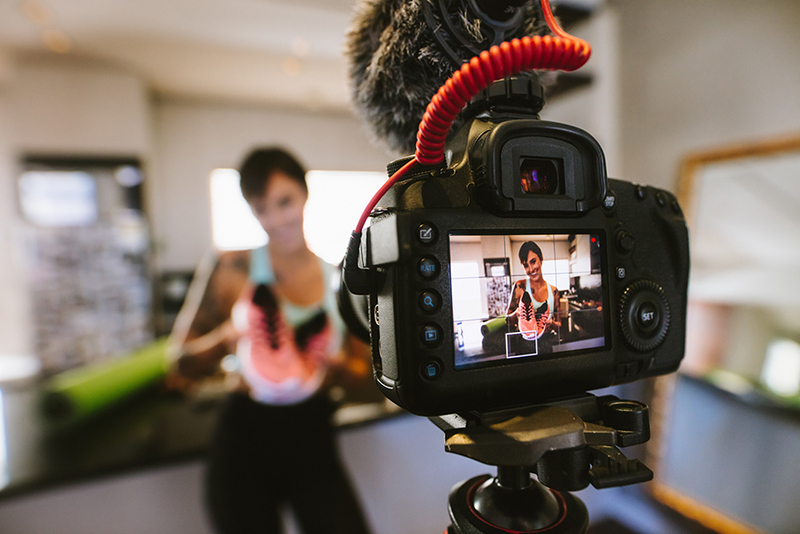 For some brands, influencer marketing is a long term investment – something they do to raise brand awareness and keep their name out there. For others, it’s a one-time marketing activity, designed to help push a particular event, product or service for a limited time. So grab some paper and draw out your goals. Are you launching a new product and want to make sure it gets all the exposure possible? Are you running a competition and want to boost the number of entries you get? Do you want to generate some more sales through positive reviews? Are you running an event and want to give it some extra publicity? Once you have that figured out, you will have a more solid idea of what you need to ask of your influencer. Maybe you want them to write a blog post reviewing your products, or hype up an event on social media (and attend). Maybe you want a series of sponsored posts featuring your service or product, or for them to run a giveaway with you. Whatever you’re asking of them, think about what you’re willing to give them in return. This might be sending them free products, giving them free event tickets, VIP experiences or just cold, hard cash. Sketch out your ideal situation, along with all the variables so that you have some negotiation room. Finally, decide how long you want to run this for, and what metrics you will be using as a measure of success. This part is key, as it will help you work out if it was a worthwhile investment, and if you should repeat it in future. Now you’ve got your plan, it’s time to find some influencers! Trust us when we say you won’t have to look far, they’re pretty much everywhere, and they don’t hide away in the shadows! But there are a lot of options out there, so it’s important you find the right influencer for you and your brand. Are They Relevant? To both your industry and your goals? Do some research into their audience, find out their interests and if they match up with your audience. You should also ask yourself if your current audience would be engaged by this person since you want to appeal to your existing audience as well as new ones. Do they Have The Reach You Need? This is a big one since it will ultimately determine how much you get out of the partnership, as well as how much you give. Does this influencer have enough of an audience to bring value to your brand? Or are you better off trying to find someone with a wider reach? The game’s afoot Watson, so grab your deerstalker hat and get sleuthing! In all seriousness though, when you’re creating a strategy around influencer marketing, it pays to do a bit of detective work. The influencer world is full of genuine people – but it’s also full of people who buy likes to boost their audience and make money, without actually delivering any value to your business. So before you approach anyone, make sure you know they’re the real deal. IG Audit: The tool iG Audit is a great way to find out how many of your influencer’s followers are real and how many are fake accounts. All you have to do is type their public Instagram name into the box, and after a moment it’ll spit out some stats for you. These stats will tell you the average number of times their posts are liked (compared to the average for that industry), the average number of times their posts have been commented on (again, compared to the average), and what percentage of their followers are real accounts. If the percentage of real followers, likes and comments are high, then this is likely to be a genuine influencer. If they are low, then this is someone who has bought a lot of ‘shadow accounts’ to appear bigger than they are, and you should stay away. There is a similar tool available for Twitter as well to uncover fake accounts. Statshow: Another tool we love is something called Statshow. It’s not the prettiest looking site out there, but what it does is well worth it. Rather than focusing purely on their social media presence, Statshow tells you how much traffic that site gets, and a rough estimate of how much that site is worth. Simply pop a website URL into the search box at the top of the screen and in seconds you’ll be faced with a full page of data. From this report you can see how many visitors the site gets per day, how many page views and where they rank in various search engines. If the site isn’t very popular, then you might want to consider moving on to another influencer instead. Or you could put your URL in there and see what happens! Influencer marketing is a big area, but don’t worry. It looks far more complicated than it is! In reality, you just need to be savvy about the influencers you choose to represent your brand in the world, do your research and understand what it is you want to achieve. Those three things give you the bones of an influencer marketing strategy that you can flesh out into successful implementation.